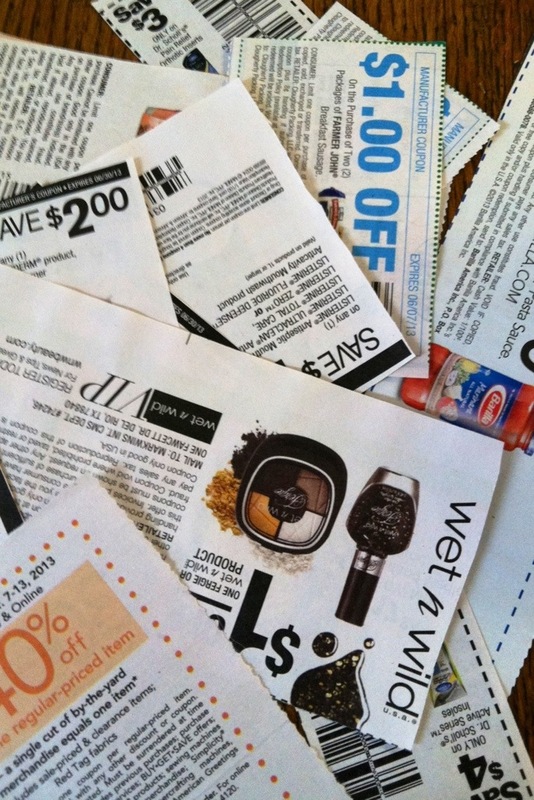 I would not consider myself a coupon queen or extreme couponer, however I do use and clip coupons on a regular basis. One major challenge I have come across is how to organize the various coupons I clip from the Sunday paper, mailers, and print online. The solution to my dilemma is a $1 file folder. I found this one at the Dollar Store, but Target also sells the same type of file folder for $1, in their bargain bins with cute prints and designs. 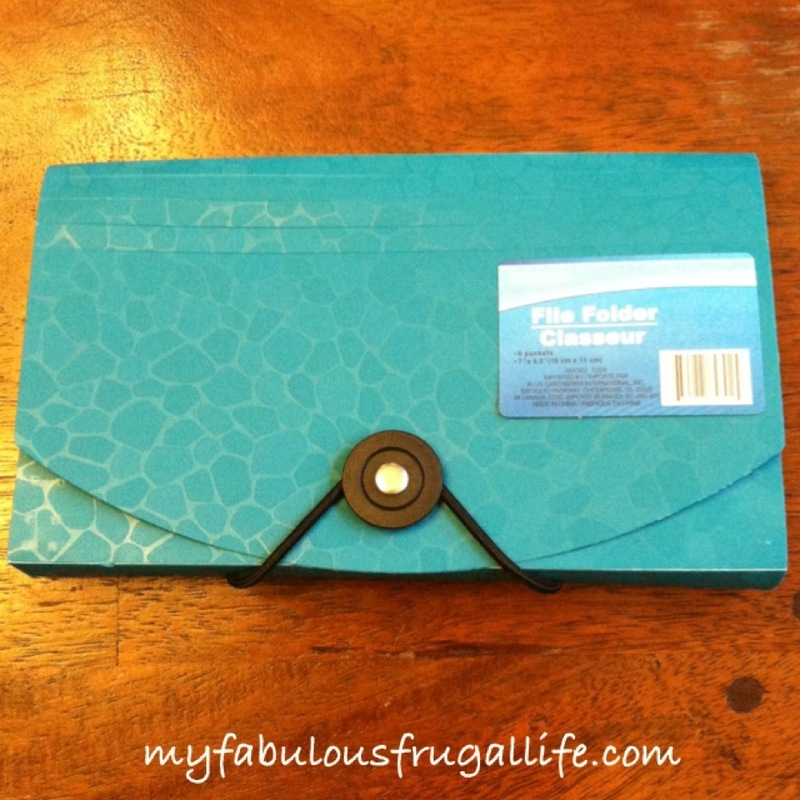 Get a $1 file organizer. Before I bought this file folder, I used a quart-sized Ziplock baggie. If you are an extreme couponer, this may not fit your needs. I have seen people shopping with binders of coupons in baseball card holders, I am definitely not at that level, nor do I have room in my purse for a binder! Label each section of the file folder. I took an inventory of the coupons I had and came up with the following categories – groceries, household, beauty, clothing, and miscellaneous. This works for me. Another option would be to organize your coupons by store. Sort your coupons by date in each section of your file folder. When I get new coupons I file them accordingly. I also keep all of my gift cards in my coupon file folder. 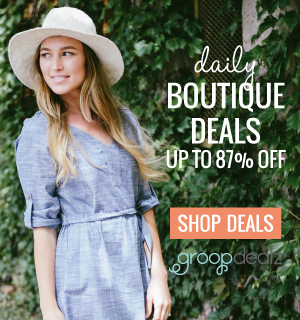 Only clip and save coupons for items and stores that you would use/buy/shop. Don’t fall into the trap of clipping a coupon and buying something that you would never use. I admit, I am guilty of this, learn from my mistakes! Keep your coupon file folder in your purse. I switch purses often and always have my coupon file in my purse. There’s nothing worse than buying something and then realizing you had a coupon for that item. 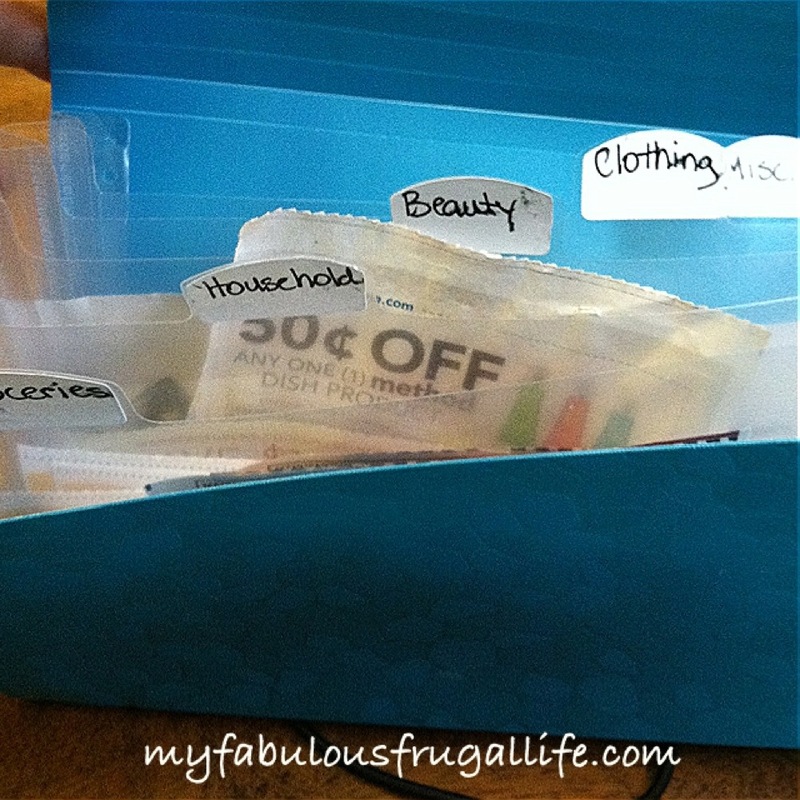 How do you organize your coupons? I’d love to hear your fabulous ideas! I do use a small black binder with coupon pockets inside, which I purchased at Staples. It does not fit in my purse, but I like it because it also holds a pen, my shopping list, and in the large pockets go current sale flyers, and anything else related to shopping. Wow! I admire your organization! 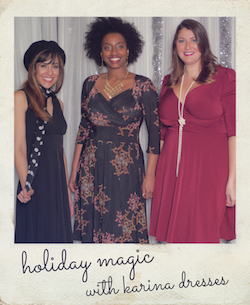 You have great tips for shopping! I WISH we had coupons here in Belgium :( the most we get is buy 2, get one. But then most of the time it’s buy a gazillion, get one. That’s a bummer. Can you get good online deals or is the shipping costly? The buy a gazillion is only good if it’s something you really need or love! For sure! Gotta make the most out of your circumstances!